…love! Cupid himself couldn't do better; these exclusive greeting cards feature loads of loving detail, some with foil accents, and all with sweet sentiments inside. 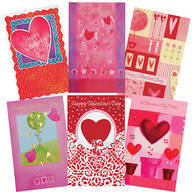 Set of 24 valentine cards includes six unique designs and verses appropriate for any age. 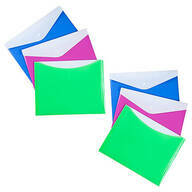 Includes 24 white) envelopes. 5" x 7 3/4". 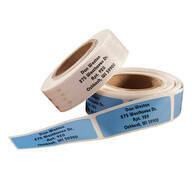 Colorful address labels in pastel colors, feature bolder, easier-to-read letters. 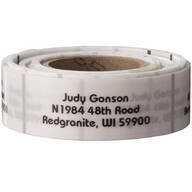 This address label roll has traditional block letters. All self-stick, of course. 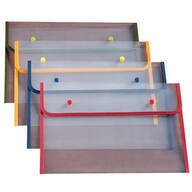 Specify name and address; limit 4 lines, 25 letters/spaces per line. 2" long x 5/8" wide. Roll of 200. 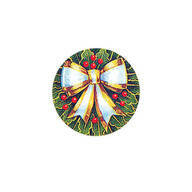 …to send them out on a timely basis without spending a fortune! 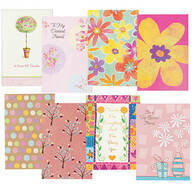 Boasting cheerful, endearing graphics, the assortment of thank you notes features eight different designs (three of each) with pre-printed sentiments of gratitude and friendship. 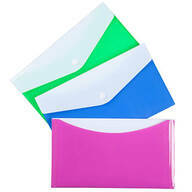 Cards single fold to 4" x 6"; 24 white envelopes included. 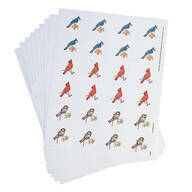 Bright, feathered beauties give your cards and letters a touch of bird-loving charm! Seals feature 3 rotating designs: bluejay, nuthatch, cardinal. Seals: 1 1/8" diameter. 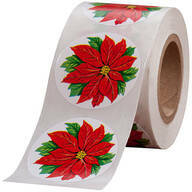 Beautiful poinsettia envelope seals. Peel-and-stick, in rolls of 250. 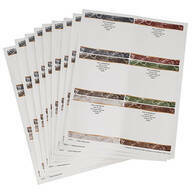 Envelope seal stickers are 1 1/2" dia. 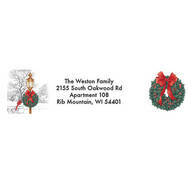 Pair with poinsettia return address labels (sold separately).